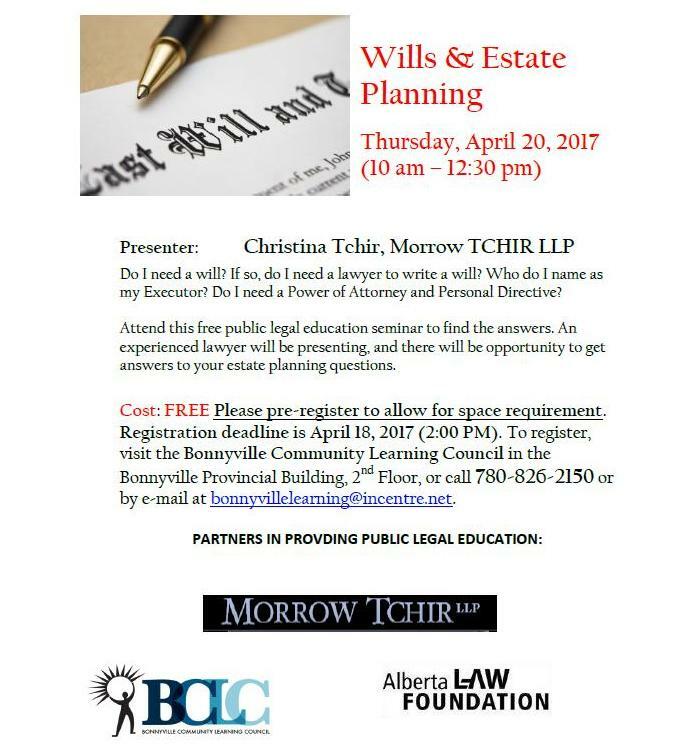 Come attend our FREE legal information session about Wills and Estate Planning. Call 780-826-2150 to register. 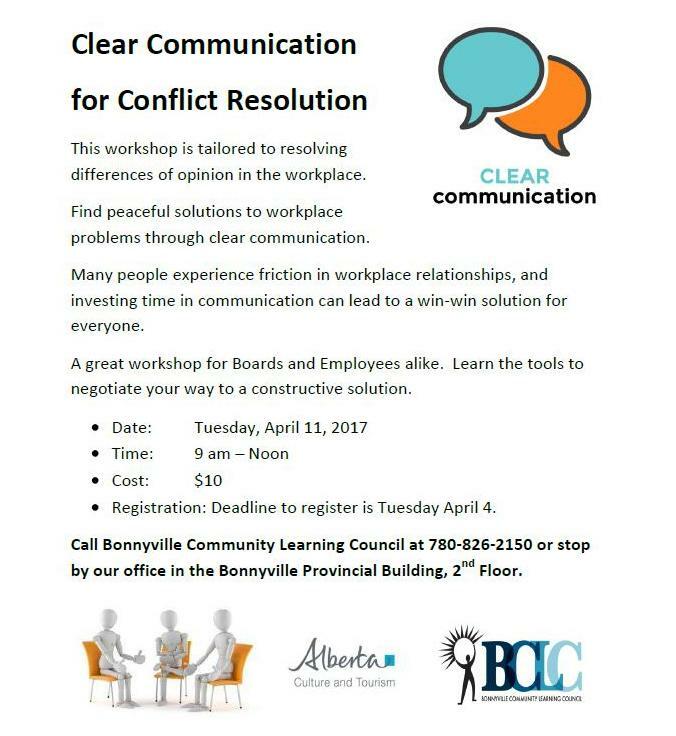 Learn communication strategies to resolve interpersonal workplace conflicts. 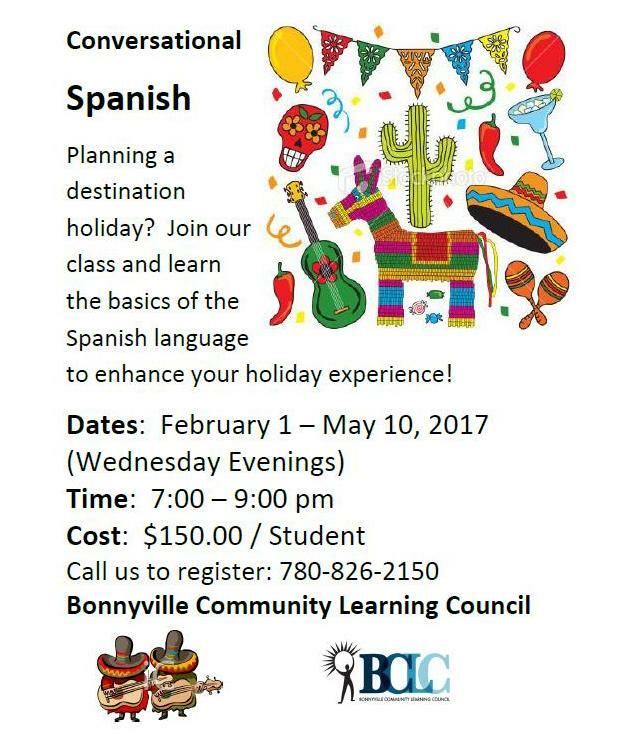 Call us to register, 780-826-2150 or come by our office in the Bonnyville Provincial Building. If you have always wanted to learn Spanish or just want to brush up on your Spanish language skills, now’s the time to sign up for our Conversational Spanish course, beginning February 1, 2017. Call us at 780-826-2150 to register. We are pleased to once again be offering workshops on Digital Photography. Day 1 is Beginner Level and Day 2 is Intermediate level. Register for one day or both – cost is $85 a day or $150 for two. Call us at 780-826-2150 to sign up before this popular class is full. Course dates are Feb 11 and 12, 2017.